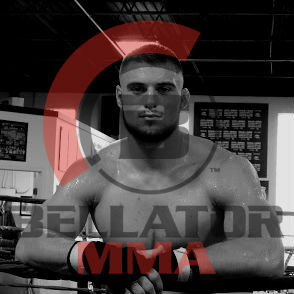 Not long ago, New Castle, PA Dalton Rosta announced that he had signed a contract with Bellator to turn pro in MMA, and now it's time to get to work as Rosta now has a date and opponent for his first bout. Rosta, who does boxing training with Youngstown trainer Sam Calderon at Downtown Boxing Club finished his amateur career with a perfect 7-0 record with all his victories coming by way of knockout while being widely regarded as the top 205-pound amateur in the United States will take on Cody Vidal (1-1) on the Friday, March 29 Bellator 219 card in Temecula, California. Vidal of Pottsville, PA will be entering the cage for the first time since 2015 when he was defeated by strikes in the opening round by Tyler Smith. Rosta and Vidal are slated for three rounds and will be fought at the 205-pound weight limit.